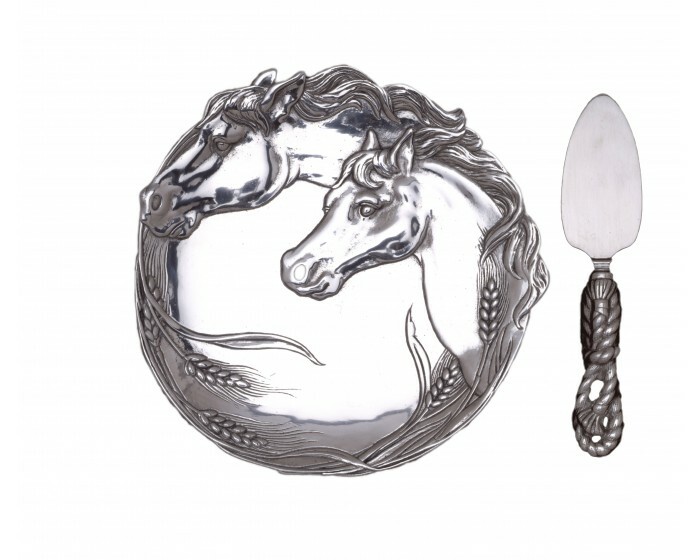 Glimpse into the lives of these glorious beasts with Arthur Court’s Horse Plate with Server. In a picturesque display of beauty, two horses peer off into the distance, as if dreaming about the stalks of wheat that surround them along the bottom of this dish. The distinct detail in their jaw muscles and the rope-like design of the server’s handle make this handmade, aluminum set a must-have.